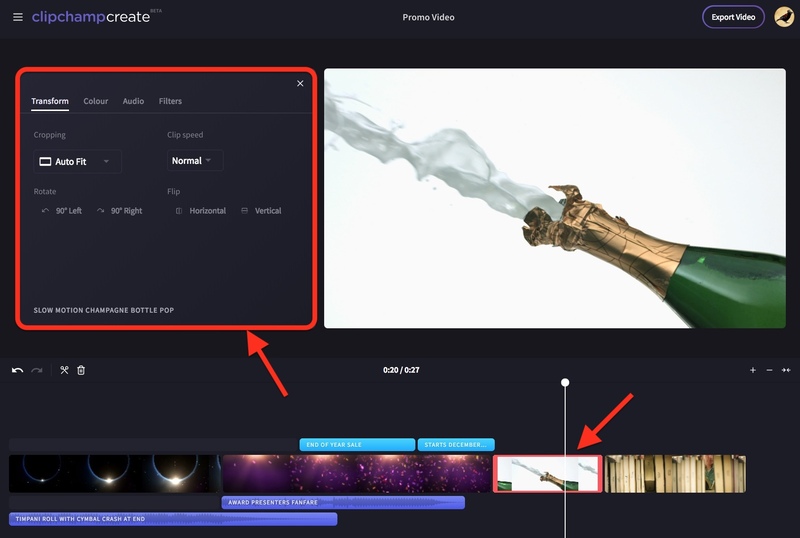 Yes, you can add visual effects to videos in the Create editor. 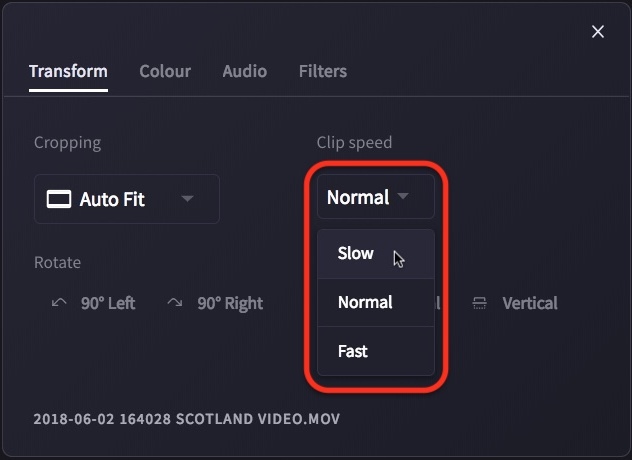 You can currently slow down, speed up, crop, flip, rotate, add filters, or change the colour and contrast of a video. 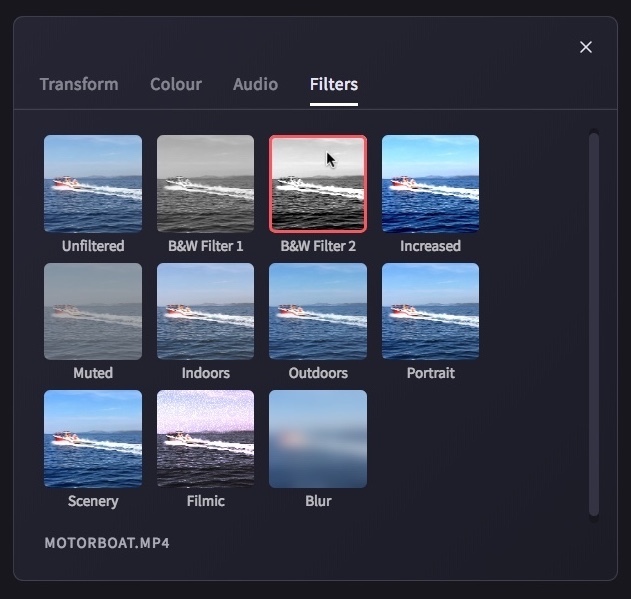 You can also add fade in and fade out effects as well as transitions between video clips. 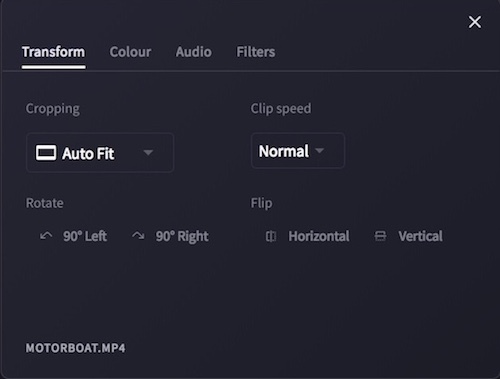 It is not currently possible to add sound effects (only to change the volume of an audio clip). We're working hard to improve the editor and plan to add more effects and transition options soon. If you're not sure how to add videos to your timeline, see this article. 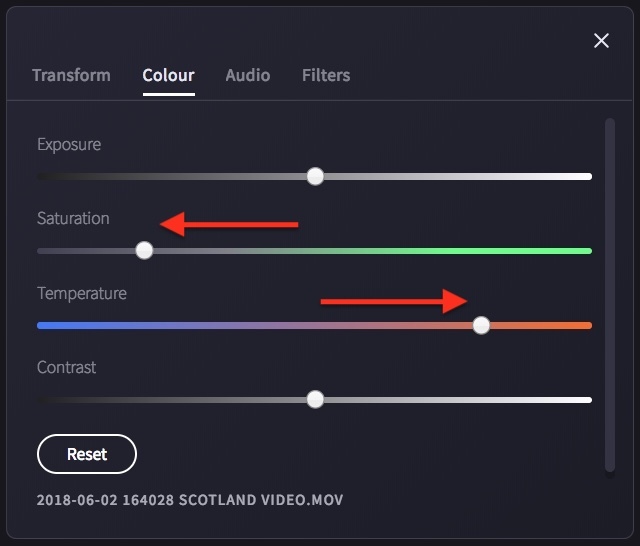 COLOURS: You can also adjust the colours of a video (the saturation and temperature) to make it appear washed out or intense, or add a sepia effect. 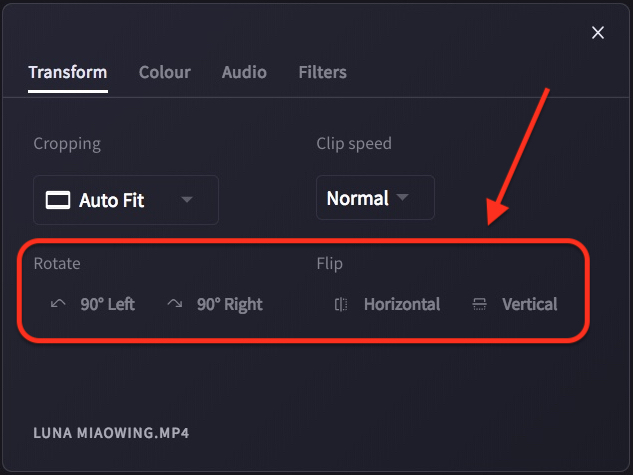 ROTATING AND FLIPPING: You can flip or rotate the position of a video, e.g. mirror it or turn it by 90 or 180 degrees. Can I do chroma key compositing (green screening)?